Tree Removal, Tree Trimming Service St,Paul, MN. We Bring You The Best On Quality, Experience And Affordability On All Tree Removal, Tree Trimming, Stump Grinding And Land Clearing Services You Might Need, Here In The Twin Cities Of St Paul, MN. And Minneapolis, MN. Call Us With Any Tree Related Question Or Concerns You Might Have, Available 24/7. 651-401-7873 Thank You. We Greatly Appreciated, Thank You. Tree Removal, Trimming And Stump Grinding St Paul,Mn. Welcome to St Paul tree care. Let us start with letting you know that all trees require more maintenance than the average or business homeowner may know or realize. You might think that all trees grow perfectly in their own natural way, however, keeping them on good health and staying healthy takes time work and knowledge, that is why is important to consult with the professional like us your St Paul Tree care experts, With many years of providing this kind of service to the community and having lots of satisfied customers, rest assured that when you hire us to do your Tree Removal work we will do our best to not only do a great job but also with labor cost in mind to do it at a very affordable and competitive rate to you the home or business owner, So the next time you or your neighbors need this kind of service you will reach out to us the true local professionals in the area where we do the tree removal service In St Paul Mn. We really are professionals, well-trained and experienced arbor service providers, we are committed to providing great customer service and who truly care about what we are doing. We trust our staff to treat our clients the way they deserve, in the most professional and courteous way possible. We will Safely remove whole or overgrown limbs and, or dead.branches that might need to be trimmed or cut off. We will remove and recycle as much wood as possible, all wood,brush, and wood chips are to be completely removed then rake and clean up all of your property that we have worked on. We are always environmentally conscious and will try to recycle all wood and brush is possible, to protect lawns and gardens we assess the work area and advise our crew to be extra careful on each and every job as we arrive to take care of your work. Do you have a difficult tree removal in your property? We are the local true professionals and have passion for what we do that is why we excel on the field and we just love to work outdoors and many customers recommend our tree removal service St Paul Mn. One should value the looks on your property and the way your trees grow into your landscaping scheme. Our team of professional arborists will take care of all your work needed. Our affordable services covers St Paul and all surrounding areas. All you need to do is search for us by tree removal service near me here in the twin cities. Because we have provided our service for our neighbors for many years. Our well-trained specialists are the best you can expect, and are equipped to handle any size of job or project you may have in store for us. 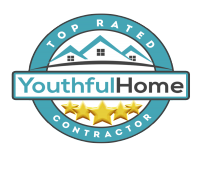 Instead of doing the work yourself, or relying on an unreliable company, work with us, a team that has years of success and hundreds of referrals in the twin cities of Minneapolis and st Paul MN. We truly are invested in our community for we take pride in the green service we provide to our residents so if you have any tree removal cost questions, now is the time to get answers. Tree Removal. Tree Trimming. Stump Grinding. Other. Contract a professional company that has the Experience and equipment to get the job done right! All tree disease can be a serious matter especially if you don't really know what kind of diseases have infected your landscape. Take for example hypoxylon canker; if one of your trees on your landscape is infected by this horrible disease it can kill it in a matter of months. It doesn't stop there! This is a serious disease to combat and highly contaminating pathogen that can be transmitted to other trees on your landscape through either flying insects or birds. The result can be devastating losing the most valuable asset on your landscape which are your trees. It is not uncommon to see one contaminate the whole Mott thus forcing the landowner to have to cut down on their plantation. Hypoxylon canker can be treated in the early stages but there is no known cure for the disease. Building up the tree's vigor is probably the best combatant to be able to let the immune system to be able to suppress the disease and eventually get rid of it. Although it's a tossup and only one spores active on the bark it is too much and will spread to other trees on your landscape . Get your trees diagnosed today by one of our trained state certified arborist! Not all service firms are created equal and have the proper training to be able to combat sick or the tree disease and also perform precision cuts which is better known as tree surgery on your precious assets. Don't take a risk, contract a professional arbor care company that has the knowledge and the proper arborist training by the international Society of arbor culture to be able to combat the disease but also to be able to perform precision trimming. We will be able to diagnose and also identify your particular species and let you know the proper season when these so important pruning techniques have to take place. Pruning out of season can result in trees ease and cause you to lose it altogether. Our advice is to contact a state certified arbor care company to be able to take care of any future service jobs or projects. Is your service company insured and bonded? Do they have the proper training to ensure that your property, and family is safe while performing this so dangerous removal jobs? In our state if you contract a company and their employees are not insured and the result is injury or death to that employee while on your property you can lose your property and multiple lawsuits. Tree removal is extremely dangerous work and should only be done by a trained professional with the proper equipment. Why take chances with your future your personal property and your family. Our service company is completely insured and bonded and certified by the state to follow all ISA protocols when it comes to removing on your property. Not only can we get the job done right we can also get the job done safe. For your next project contact us and we'll be right out there to your location stress free! The trimming should only be done by a certified arborist by the state of Minnesota. You should not leave your most precious asset in the hands of landscapers or untrained professionals to make these precision cuts. A certified arborist will ensure that he follows all the I SA protocols when he comes to trimming back if you're either thinning the canopy, reducing the crown or simply lifting the overall canopy from the ground up. In proper cuts can leave growing deformed and could even cost the valuable resources and being exposed to the elements of insects. This can very easily be avoided by contracting our services where our state certified Arbor care team can analyze and recommend the proper pruning that should take place to acquire the trees overall health and proper future growth patterns. Contact us today to get a free estimate on trimming. When it comes to land clearing of your property St Paul Tree Care is the preferred choice! May you have a future city dwelling, ranch, residential or commercial for all your brush removal needs we are the first choice. We have all the equipment, personnel and experience needed to perform any type of land clearing you might be requesting. Complete with stump grinding and any equipment needed for major haul offs. We have been providing brush clearing for our clients for the past 15 years with great success. We are insured and bonded for your protection and have all resources to answer any question you might have. For your next land clearing St Paul project give us a call today. If you ever need a general clean up on your property, We are there for you and we can and will clear yards and yards of wood, logs, and haul away all brush off your land . all the chipped wood can be used for mulch, and the logs can be cut up and use for firewood, if you the land or homeowner wants it. It is s a pleasure to have a cleaned yard and it will be ready for any new landscaping r more planting if you so desire . Do you need have a tree or trees that needs to be removed? As a professional tree removal St Paul company, we have the knowledge, all the equipment , as well as the experience needed to do a job one that you will be impressed with . We'll cut the branches off, the tree and also grind the stump. we'll always make sure that we take care of all debris after we get done, so that there is very minimum trace of the work we did. .
​Cutting down a tree especially large ones, actually starts at the very top every time. All branches are to be removed and all limbs from as high up as possible, then we work our way down the bottom. Depending on the tree size, age, and health and overall condition, you might want us to just trim and cut off some bothersome limbs and save the tree that way you have a nice looking yard or landscape to enjoy for years to come, but if you do decide to get rid of it all together... this is the process. After all the main branches are cut off, we work our way down all the way to the base. It's highly important and recommended that you inspect the tree to determine the condition before starting to make any cuts. After we determined the tree condition and determine that you do want it gone we will at that point start working on the removal of the tree from your property. The main cuts are at the base and should be in the same direction you want it to fall. The first cut should be at the top and toward the middle of the tree's body. The next cut will come half way down to the tree and meet the first cut. This will create a triangle wedge once removed, then and there the tree will fall. ​All small branches most be run through a wood chipper machine to be turned into mulch, when we do the job for you might like to keep your mulch, we'll be happy to leave it there dumping it in a mulch pile. Or we might spread it in a designated area, that you prefer. The larger branches and limbs might then be cut into small pieces Like the mulch, when we're doing the work for you and you want to keep all the branches and limbs, we will leave them for you. If not, we'll haul it all away, so that way you don't have to deal with that hard labor at all leave that to us we will cut and clean everything per your directions . The bigger parts of the trunk can also be chopped and use as firewood your fire pit will love you for this and so will the feeling of recycling. or we can also haul them away. Depending on the trunk size, we may be able to use a wood splitting machine to make the job easier. The larger parts of tree trunk will have to to be cut down with chainsaws, and then run through The splitting machine to turn em in to firewood. QUALITY TREE TRIMMING, TREE REMOVAL, STUMP GRINDING, SICK TREE, TREE TREATMENT, TREE INSPECTIONS. TREE INJECTIONS, AND LAND CLEARING.